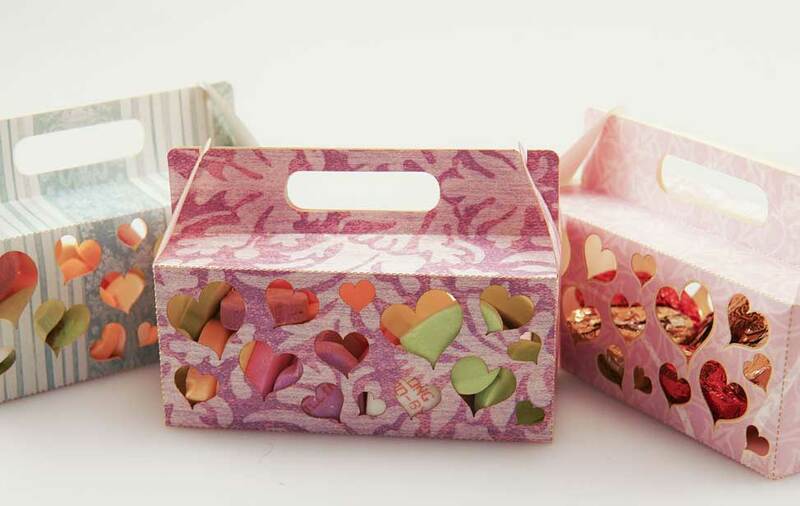 Here we'll walk you through the steps of creating this cute, easy-to-assemble cardstock candy box. 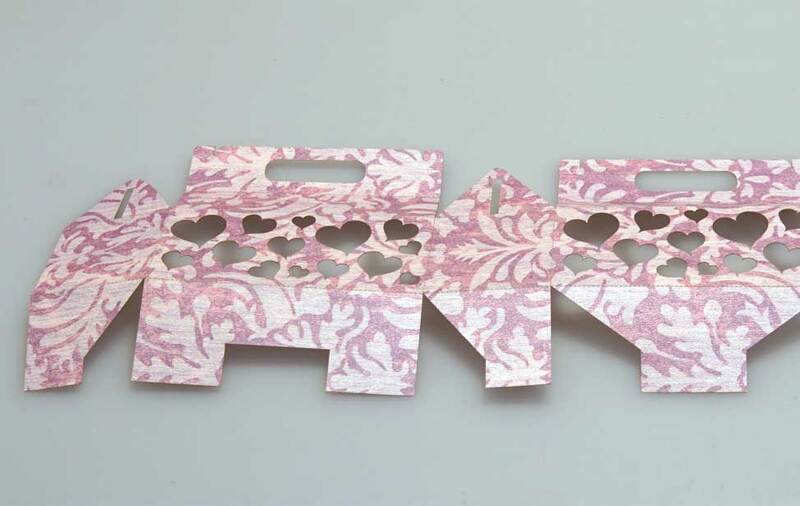 Our design features hearts for Valentine's Day, but with a quick change of paper or design modification, you can easily re-purpose this file for a variety of events and holidays! 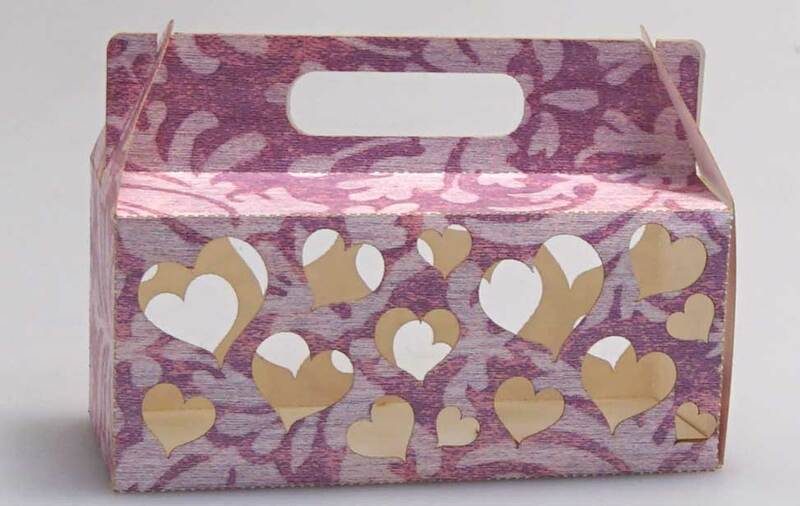 Cardstock boxes with heart-shaped cut outs. 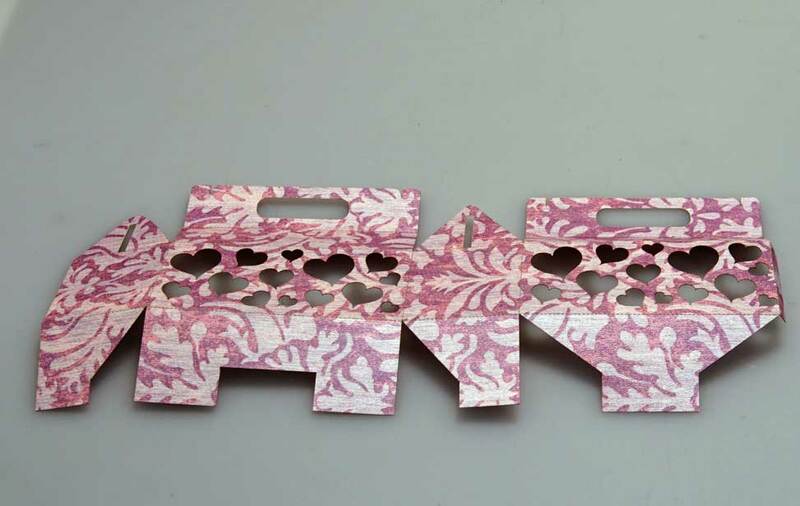 Cut with the laser, fold and assemble! Check out the last step for candy etching instructions. Cardstock - available at most craft stores. We purchased ours through JoAnn Fabric & Craft Stores. Visit link above to download file. Adjust the artwork as necessary. Laser cut the paper, remove from system and you're ready to assemble! Fold along the perforated lines. Tuck the flaps on the bottom and hook the sides of the box to the handle cuts. Fill with the candies or trinkets of your choice, and you're set. 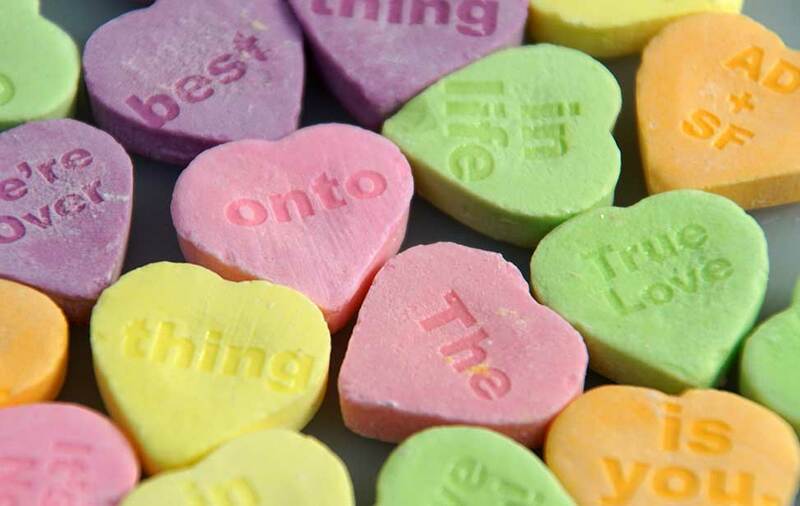 To customize the candies, start by opening this template file to create a jig. First, vector score the heart shapes (we used 90% speed, 5% power and 500 frequency to just lightly mark the area where the hearts should be placed.) 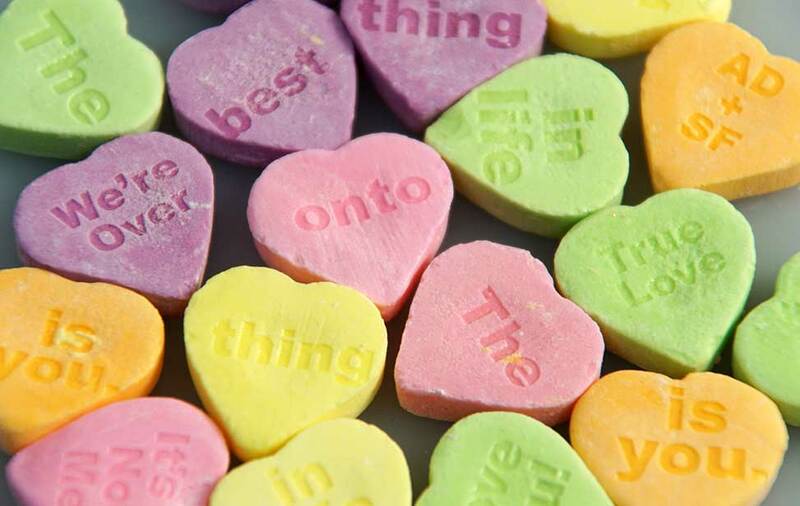 When done, insert the candy hearts into their designated spots. 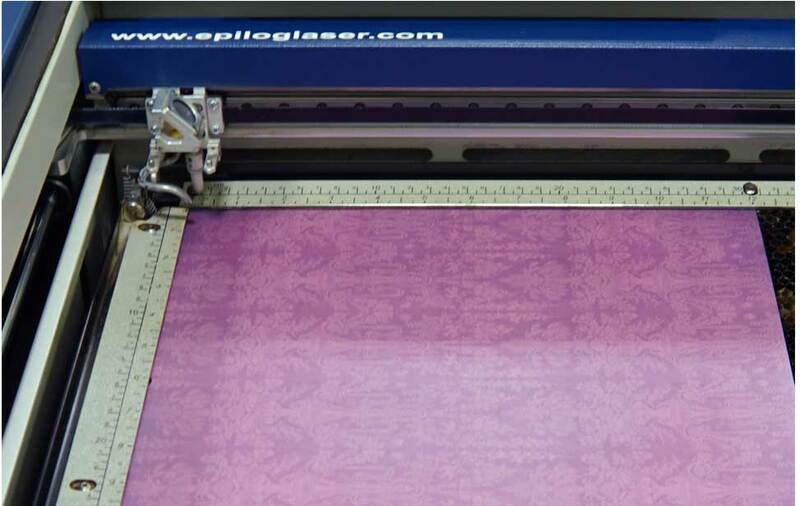 Modify or enter the text you want to engrave and send the job to the laser and you're all set! To engrave the candies on the 50-watt Helix, we used 60% speed and 100% power.